Are you fed up with your dandruff problems? You might have tried the numerous anti-dandruff shampoos featured in TV ads but nothing could help to relieve you from the problem. 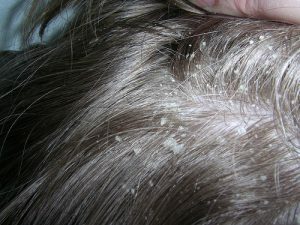 However, nothing to worry about as the dandruff problem can be effectively settled with lemon. You can use the lemon juice directly on your scalp or otherwise it’s advised to mix it up with mildly warm water. It’s a very simple process and works well both oily and dry scalp. Just take up one cotton ball and immerse it into lemon mixture or the raw juice. Now, apply the cotton ball on your affected scalp areas and continue this until you have covered up all the areas thoroughly. After that just let its sit on the scalp for around 15 minutes to half an hour. After 30 minutes, just shower your hair normally. However, make sure that the mixture gets washed off properly.